Bought several and they arrived in top notch condition. I wanted them for a particular area, to brighten it up. Unfortunately I don't think the soil was suitable, some have thrived and really are superb but a couple have died. My fault entirely. I planted this in spring 2018, but it took a long time to get established and didn't grow at nearly the same rate as my other dogwoods. This may have been due to the heatwave we experienced in the South, pretty much form April through to October, but then my other dogwoods grew just fine so perhaps not. I did find out later that some gardeners recommend not pruning this species in its first year or two, so maybe that was my mistake. Don't think was listed as an instruction though. Would be good to know if this is a valid tip or not. Great colors though and hopefully it will grow a bit taller this year to give the fantastic winder display I was hoping for! This was a xmas present ordered by my brother from Crocus. I was quite pleasantly surprised at how substantial the plant was on arrival and has made an immediate impact in the garden with it beautiful glowing orange stems. I have planted it near my pond in front of an evergreen bush which really makes the stems stand out. Beautiful shrub. I love Crocus' great service and plants. I bought five of these to create a "screen" against a neighbour's rather unattractive wall. The plants took a good year to settle in, but with a lot of plant food and less water than expected (they flourished when I reduced watering even during July's very hot weather), they have put out a lot of branches and leaves, and have been covered in lovely white flowers that the bees seem to find attractive. 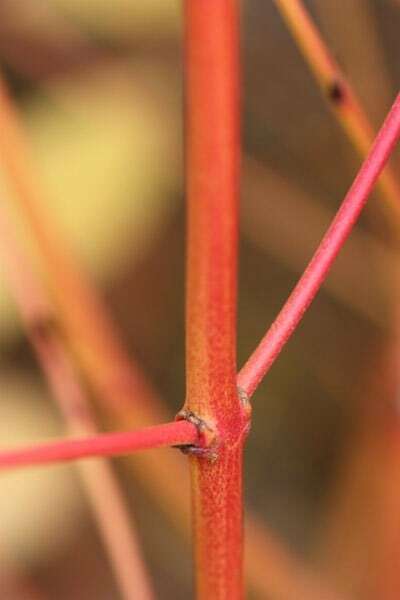 I look forward to the bright red stems in winter. Corpus arrived, promptly, in good condition, well packaged. Good instructions, it's growing well in the garden. I only have a small garden so plants and shrubs really need to earn their keep. 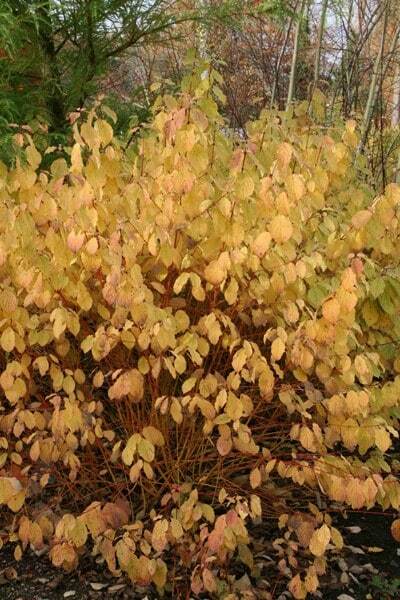 This is one small shrub that I would not be without, the stem colour in winter is wonderful. Another reviewer suggests that it is boring for the rest of the year but personally I like the light, bright spring foliage. It is disease free and easy to prune (hard) in spring. I've had no suckers, though a couple of low branches have "layered" themselves. 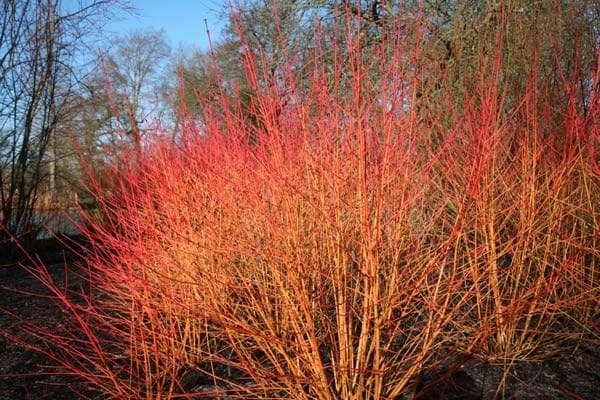 I am moving house and I want to take my Cornus sanguinea 'Midwinter Fire' with me. It is about 3 years old. What is the best way to transplant it? I will be moving in November. Hello, The best time to lift it is when it is completely dormant, and you will need to dig up as much of the rootball as you possibly can. You can then pot it up into a large pot to move it to its new home, but do make sure it is kept well watered until it is happily re-established. I have just purchased a midwinter fire, 2 litre pot. The pruning advise suggests cutting back hard to within 2-3 ins. The plant doesn't look very big at the moment lots of thin twigs coming at all angles. So can you tell me if I should prune this first year of receiving the plant and if so do I prune all branches even the ones below 2/3 ins in height that come out of the side of the plant. There were no instructions in with the plant and I don't want to do the wrong thing. Thank you. Hello, These plants are fully hardy, so they can be planted at any time of the year provided the ground is not frozen. can I move a large 3year old mid winter fire cornus, and can it be divided? Cornus grow well in our Wealden clay. Hello, It is possible to move any plant successfully, provide you dig up a good-sized rootball, but this plant cannot be divided. 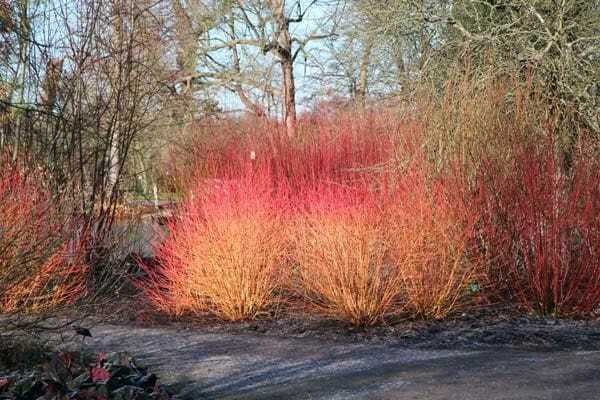 Can the cornus snaguinea midwinter fire be planted in pots as i am looking for a varity of plants to grow in pots in my patio garden. Hello, Provided the pot is large enough and you make sure the plants are kept well fed and watered, then yes, they will grow quite well in pots.